More details at: christianecvvasher@clublotus.com . absolutely immaculate 2011 Cadillac Cts-V coupe. this car is the one trust me . Most in demand color schemes inside and out. 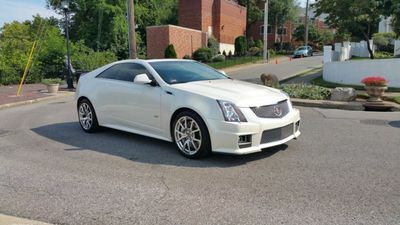 perfect white diamond pearl paint with polished 19 wheels with like new factory MICHELIN Pilot super sport 2 tires 255/40/19 fronts 285/35/19 rears. upgraded ceramic brakes and upgraded brembo drilled and slotted brake rotors. interior is full black leather with black suede inserts in perfect like new condition. upgraded cts-v custom factory floor mats like new also. car also features the optional recaro performance seat package which feature an incredible 14 way adjustability and also feature both heated and air conditioned perfect for cold of winter or heat of summer. car also has the motorized pop up navigation screen which is really neat and features back up camera, touch screen radio functions, and also plays dvds and bluray disc. I have also upgraded and professionally installed GO VIDEO setup which means all functions can be operated when car is being driven , so you don't have to pull over to set navigation and best of all you can watch movies for those long trips. car has power sunroof option and also power sunshade option for those hot days and you don't want sun to beat down on you . car features 6 speed auto transmission with both manual mode on shifter as well and paddles located on either side of steering wheel . which all operate like they did when driven off lot new. 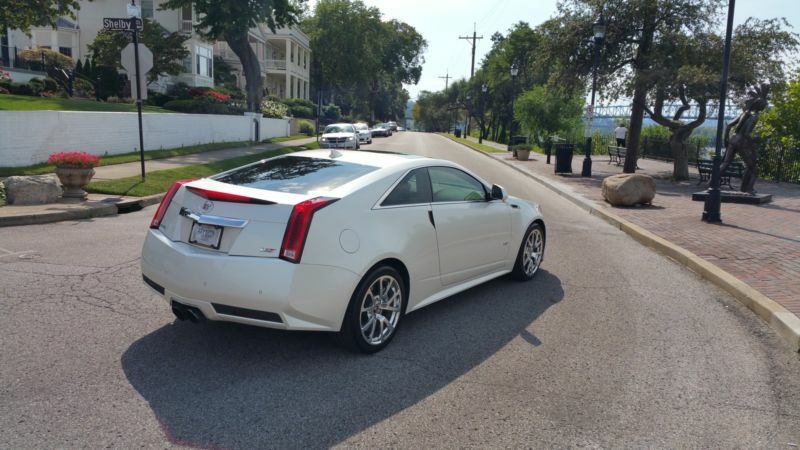 now for the real fun in 2011 this was the most powerful production Cadillac every produced only passed by the new 2016 model . it is powered by a supercharged pushrod aluminum-block V-8 that puts out 556 bhp at 6100 rpm and 551 lb.-ft. of torque at 3800 rpm. 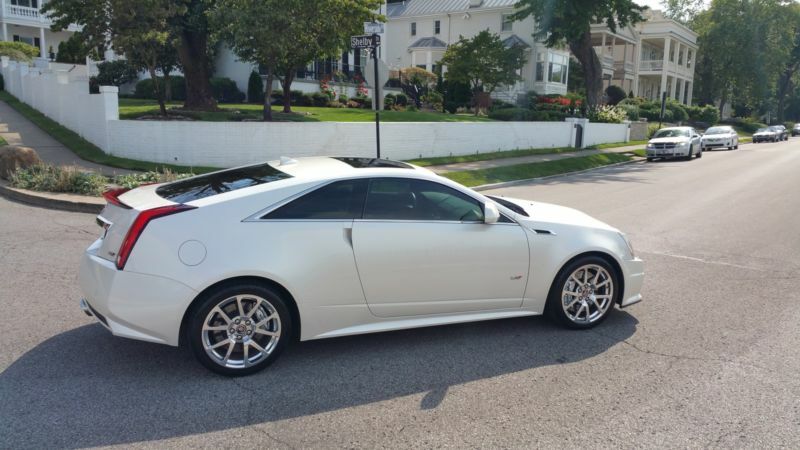 Mated to a Hydra-Matic 6-speed automatic transmission, the LSA V-8 propels the CTS-V Coupe to 60 mph in 4.1 seconds and to the quarter mile in 12.3 at 116.6 mph. car is completely stock only thing added is a high flow AIR RAID air filter assembly and a professionally installed complete COOKS stainless steel exhaust. COOKS large tube stainless headers, COOKS high flow H pipe, finished with a full stainless steel CORSA dual high flow mufflers with polished tips ($1800). car sounds absolutely incredible! nice quiet rumble at idle and nice sound when driving not overly loud at all but if you get into it people will definitely pay attention! sweetest sounding car I've ever had . with all performance bolt on upgrades car is now up to 625+ hp and 600 torque but everything is stock and doesn't effect warranty nor reliability actually makes car more efficient .